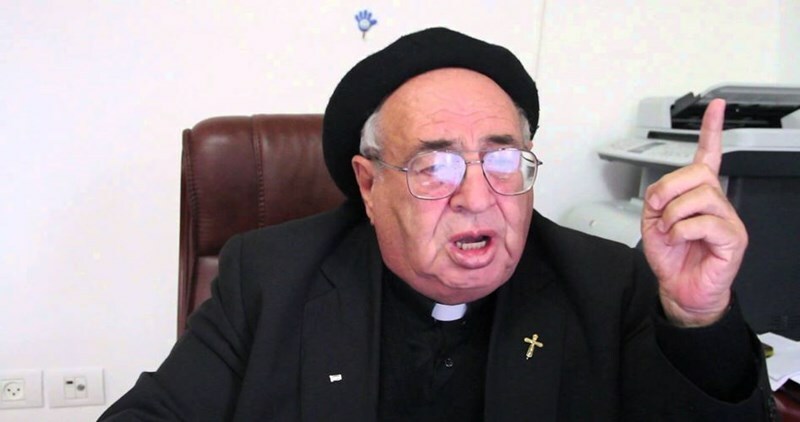 Father Manuel Musallam, pastor of the Latin Church in Gaza, has launched a scathing attack on Palestinian Authority president Mahmoud Abbas for his recent participation in the funeral of former Israeli president Shimon Peres. In Facebook remarks on Saturday, Father Musallam started his message to Abbas with the famous popular adage saying that "everything is a debt or a loan, even eye tears." "Did Sharon attend the funeral of Abu Ammar and lamented him, Mr. President, in order for you to pay the debt with crocodile tears over Peres? Did the bells of Churches ring and were the sounds of the holy Qur'an recited from minarets in grief in order to convey your love to the house of the deceased Zionist who killed your people, occupied your land and sucked the blood of your martyrs?" He rhetorically questioned. "Today, as a result of your actions, Israel has really occupied the entire Palestine. Today, your national project collapsed along with the Palestinian Authority and all its institutions," the Palestinian clergy said. "Today, you have been expelled from the free people's hearts, so go look for a cave among Israel's thieves to live in." The Fatah Youth Movement at Birzeit University on Saturday called on Palestinian President Mahmoud Abbas to step down as president over his participation in the funeral of Shimon Peres. The Movement slammed in its statement Abbas for his “humiliating” participation in the funeral of former Israeli president and “criminal” Shimon Peres. The statement released by the student youth movement came after Abbas’s travel to occupied Jerusalem to offer his condolences to Israeli Prime Minister Benjamin Netanyahu and to attend Peres's funeral on Friday. “We condemn this humiliating participation, which is against the Palestinian people and consider it a form of betrayal.” Their statement said that Abbas, as the general leader of Fatah, violated the movement’s rules by attending Peres’s funeral. The statement released by the student youth movement came as the latest condemnation of Abbas, from Palestinians from across the political spectrum, for his participation in the funeral of Peres who is considered by the Palestinian people as a war criminal. The Palestinian Authority (PA) has suspended a senior officer working for its military liaison office after he criticized president Mahmoud Abbas for his intention to participate in the funeral of former Israeli president Shimon Peres. 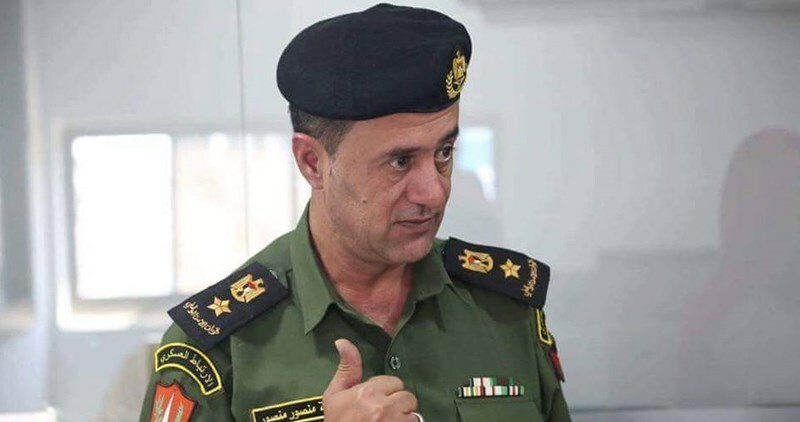 Lieutenant Osama Mansour, director of the public relations and research department at the liaison office, said on his Facebook page that he was suspended from his job because of comments on Abbas's intention to attend Peres's funeral. Mansour added that his act was not shameful and his suspension was unjustifiable. In previous Facebook remarks, he said that "there should be no personal relationships or friendships with the occupiers so long as they continue their bullying policy against the Palestinian people." Abbas attended the funeral of Peres on Friday in Occupied Jerusalem, where he met with senior Israeli officials and expressed his condolences to them. A senior Palestinian Authority official said Saturday that Abbas has "no regrets" over his decision to attend the funeral of Peres despite coming under criticism by his own people. The official told Israel Radio that Abbas took the decision to attend the funeral due to his respect for the former Israeli president and not because of external pressures. A Palestinian youth was killed and three others were injured by the Palestinian Authority (PA) forces in eastern Nablus province on Wednesday. 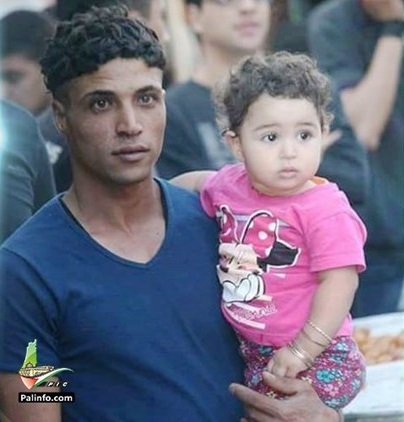 Medics at the Rafidia Hospital, in Nablus, said youngster Dhia Araysha, from the Balata refugee camp, succumbed to the wounds inflicted by bullet fire randomly discharged by the PA troops earlier in the morning. Local sources said four Palestinian young men, including Dhia, were driving near the al-Ghawi crossroads between the Balata camp and the Askar camp, in eastern Nablus, while they were arbitrarily shot by the PA forces. PA police spokesman Adnan Dhmeiri claimed the PA troops responded to gunshots fired by the youngsters. 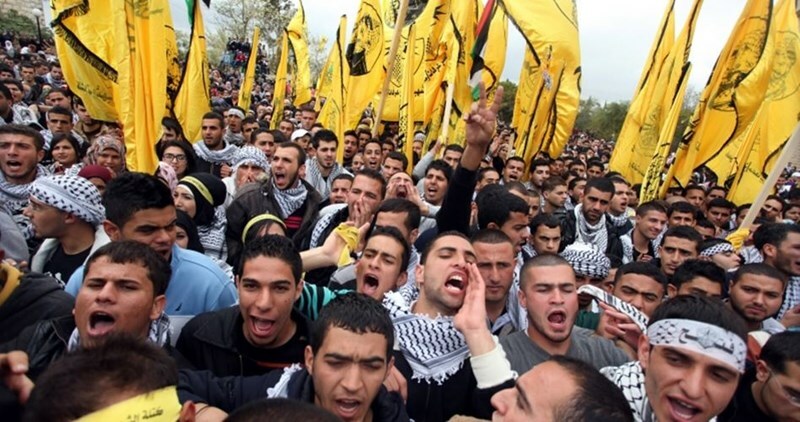 Fatah MP Jamal al-Tiraoui denied the PA version, saying the youths did not hold weapons. The four injured Palestinian youths were transferred to the Rafidia hospital, where Dhia was announced dead shortly afterwards. A video released by Palestinian locals shortly after the attack showed a youngster bleeding on the ground. The three other casualties were identified as Muhammad Marshoud al-Sous, Ahamd al-Srouji, and another youth from the Ishtiyeh family. Calls were, meanwhile, launched via the mosque loudspeakers to donate blood for the four young men. On the same day, PA’s former media official Riyad al-Hassan was arrested by the PA police. On Monday, al-Hassan demanded arrangements to travel via the Karama crossing but a travel-ban was slapped on him. On September 17, al-Hassan published an article entitled “The Untold Story in Gaza” criticizing the Wafa News Agency, which he had chaired over the past four years, for its biased policies against its Gazan staff members. Observers said the arrest was carried out on account of al-Hassan’s article accusing the PA Broadcasting Corporation of corruption. As a retaliatory response, the PA charged al-Hassan with obtaining cash advances from the Broadcasting Corporation amounting to $200,000. PA sources further accused al-Hassan of illegally providing salaries for many of his relatives and acquaintances abroad. Hassan was appointed as the chairman of the Palestine Broadcasting Corporation Board of Trustees by the PA President Mahmoud Abbas on June 19, 2012. Palestinian Authority (PA) President Mahmoud Abbas announced on Thursday his intents to submit a UN Security Council resolution against Israeli terrorism and illegal settlements. 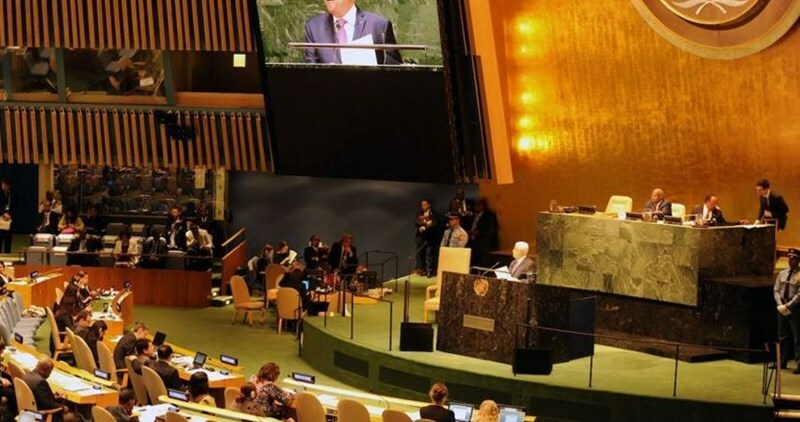 Speaking during the 71st session of the United Nations General Assembly, Abbas said: “The settlements are illegal in every aspect and any manifestation. Therefore, we will continue to exert all efforts for a Security Council resolution on the settlements and the terror of the settlers.” “We hope no one will cast a veto,” said Abbas as he hinted at the United States, which vetoed a resolution condemning settlements in 2011. “We remain committed to the agreements reached with Israel since 1993. However, Israel must reciprocate this commitment and must act forthwith to resolve all of the final-status issues,” he said. Abbas also lashed out at Israel for undertaking hostile action against Islamic and Christian holy sites in Occupied Jerusalem. “Israel continues to illegally alter the identity and status of occupied east Jerusalem, and to commit aggressions and provocations against our Christian and Muslim holy sites, especially the al-Aqsa Mosque,” he stated. “The continuation of the Israeli aggressions against our Muslim and Christian holy sites is playing with fire.” Moreover, Abbas asked Israel to recognize the Nakba, in reference to the tragedy of the Palestinian people following the colonization, by Israel, of Palestine. Concluding his speech, he stated that he hopes the international community will assume responsibility for ending Israel’s military occupation of the Palestinian territories in 2017. “There is a collective responsibility upon you to ensure that 2017 is the year of ending the occupation. Will you uphold this responsibility? It is my hope,” he said. The European Union (EU) has started to consider removing the Hamas Movement from its terror list before submitting a decision in this regard soon to the European Court of Justice, according to Israel's Channel 10 on Thursday. This apparently came after advocate-general of the court Eleanor Sharpston, whose advice is usually followed by judges and decision-makers, recommended on Thursday that the court of justice should reject an appeal filed by the Council of Europe against the lower EU court's decision in late 2014 to remove Hamas from the terror and sanctions lists due to flawed procedures. 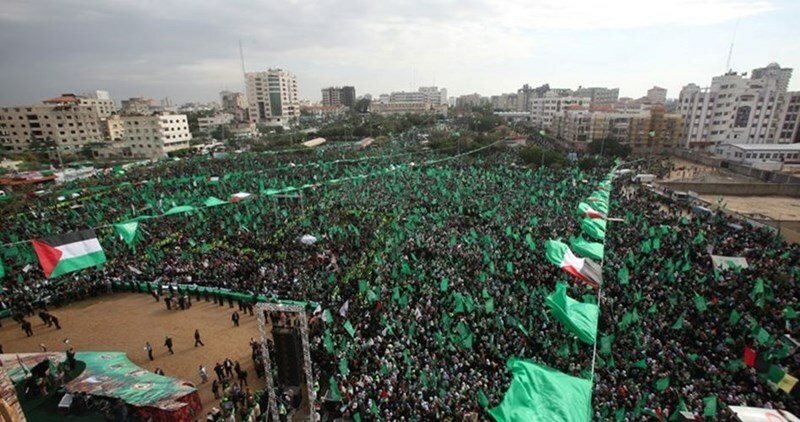 Sharpston said the EU governments should present evidence on its claims against Hamas and refrain from relying on information from news reports and other countries like the US. Sharpston's remarks reflected an order issued by the EU's second highest tribunal in December 2014 calling for striking out Hamas from the European list of designated terrorist groups. At the time, this lower court had ruled that the decision to include Hamas on the EU terror list was based merely on media and internet reports and thus must be revoked. Soon later, the EU appealed against the ruling to the European Court of Justice. 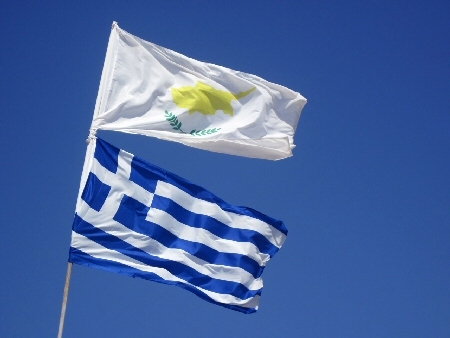 Greece and Cyprus affirmed, Wednesday, their support for the creation of an independent Palestinian state on the 1967 borders, with East Jerusalem as its capital. According to WAFA correspondence, Foreign Minister Riyad al-Maliki held talks with his Cypriot counterpart, Ioannis Kasoulides, and the foreign minister of Greece, Nikos Kotzias, during which they discussed “issues of mutual interest, including developments in the Middle East and their impact on the wider region, the Israeli-Palestinian conflict, the Cyprus issue, as well as areas for future trilateral cooperation,” said the communique.